Policies at the Humboldt County jail continue to come under fire from the grand jury, which reported this week that jail staff refuses to inform prisoners being released that they have the right to ask for transportation if they were arrested farther than 25 miles from the jail. In its report, the grand jury says the Sheriff Mike Downey believes that correctional officers are not legally required to inform prisoners of their right to transportation assistance upon release, and that the policy will not change. 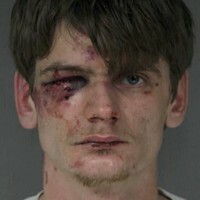 "Our own findings would conclude that the Sheriff's policies and the Humboldt County Correctional Officers' actions are evading their responsibilities to the qualified inmates and that it might not technically be considered 'breaking the law,' but that a 'normal person' would conclude that the Sheriff was not acting in good faith by evading the issue and not informing those who qualify of their legal rights." The sheriff responded today, in a press release, saying that since January, he's asked correctional officers to give public transportation passes to indigent people arrested in Southern and Eastern Humboldt — but that those arrestees have to ask for it. The Sheriff's Office and grand jury have disagreed on several points in the last year and a half. By law, the Humboldt County Grand Jury is required, annually, to visit and report on the conditions of all correctional facilities within the confines of Humboldt County. While fulfilling its mandated investigations of the Humboldt County Correctional facility the Grand Jury became aware of possible violations of California Penal Code Section 686.5. 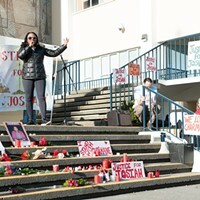 The Grand Jury discovered that there are people arrested in the outlying areas of Humboldt County, brought to The Humboldt County Correctional Facility who qualify for California Penal Code Section 686.5 mandated travel assistance, who are not being informed they have the legal right to request such assistance. The Grand Jury also discovered that the refusal to inform, those that qualify for that travel assistance, is the official practice of the Humboldt County Sheriff. The Humboldt County Grand Jury recommends that Humboldt County Correctional Facility Officers, as part of the release process, inform those people, who qualify under California Penal Code 686.5, that they are eligible for transportation assistance back to the place of their arrest and that they have the legal right to ask for such assistance. 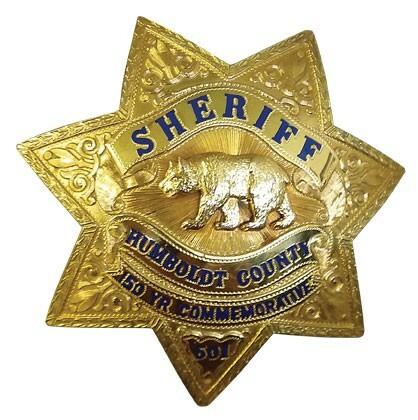 The Humboldt County Sheriffs Department serves a culturally diverse and geographically expansive county. The Humboldt County Correctional Facility in Eureka, California serves as the county’s only facility for the detention and incarceration of individuals accused or convicted of crimes. Recent California State mandates (A.B. 109 and Prop. 47) have only made that responsibility more difficult. The Humboldt County Correctional Facility also serves as the county’s temporary holding facility for the “drunk and disorderly”, with some detainees being transported to the Humboldt County Correctional Facility for that purpose from as far away as Garberville and Willow Creek. Members of the Grand Jury familiarized themselves with Penal Code Section 686.5. Members of the Grand Jury reviewed the 2013-2014 Grand Jury report and the Sheriff’s response to that report. Members of the Grand Jury met with Humboldt County Correctional Facility officers to discuss policies currently in place to inform those that qualify that they could ask for transportation assistance back to the site of their arrest. Members of the Grand Jury met with the Sheriff to review existing transportation assistance policy and whether the Humboldt County Correctional Facility was informing those, that qualified, that they had the right to request said assistance. Members of the Grand Jury engaged in the aforementioned activities to ascertain the number of inmates that are arrested more than “25 airline” miles from the Humboldt County Correctional Facility and then transported to that facility. The Grand Jury wanted to know how many inmates qualified for transportation assistance, what information is provided to those inmates, upon their release about their legal rights under California Penal Code 686.5 by Humboldt County Correctional Officers. The Grand Jury also wanted to know what the policies of the current Sheriff of Humboldt County were, regarding the communication of that information, to the inmates upon their release. Humboldt County Correctional Facility Officers do not, as of the date of this report, inform those that qualify that they have the legal right to request transportation assistance. The Humboldt County Sheriff further attests that the Humboldt County Correctional Facility will not inform those that qualify for that assistance since, in his opinion, Correctional Officers are not legally mandated to do so. The Grand Jury found no evidence of any existing policy regarding how to transport those detainees that were legally qualified for transportation assistance, furthermore the Grand Jury found no evidence of any qualified detainees asking for transportation assistance. The Grand Jury cannot accurately conclude how many people qualify under the guidelines of California Penal Code Section 686.5 for transportation assistance due to a number of factors. The data provided by the Sheriff and Humboldt County Correctional Officers are inconsistent as to the number of qualified individuals transported to the Humboldt County Correctional Facility from Garberville and the Willow Creek area. The actual determination of who, in fact, qualifies under California Penal Code Section 686.5 is currently under advisement. There may be disagreement about the numbers, but the fact that there are people who qualify and that they are not being told that they qualify is not open for disagreement. The Grand Jury is appreciative of the apparent difficulties in the implementation of any transportation program that would adequately address California Penal Code Section 686.5. The Grand Jury does however disagree with the current policy of not informing those that qualify under California Penal Code Section 686.5. Our own findings would conclude that the Sheriff’s policies and the Humboldt County Correctional Officers actions are evading their responsibilities to the qualified inmates and that it might not technically be considered “breaking the law”, but that a “normal person” would conclude that the Sheriff was not acting in good faith by evading the issue and not informing those who qualify of their legal rights. F1. There are people arrested in the outlying areas of Humboldt County, brought to The Humboldt County Correctional Facility who qualify for California Penal Code Section 686.5 mandated travel assistance, who are not being informed they have the legal right to request such assistance. F2. The refusal to inform those that qualify under California Penal Code Section 686.5, that they have the legal right to ask for travel assistance is currently the official policy of the Humboldt County Correctional Facility under the direction of the Humboldt County Sheriff. 	The Humboldt County Sheriff is to respond to recommendation 1. Reports issued by the Grand Jury do not identify individuals interviewed. Penal Code section 929 requires that reports of the Grand Jury not contain the name of any person or facts leading to the identity of any person who provides information to the Grand Jury. 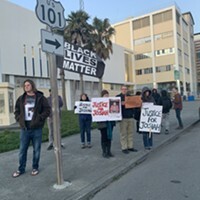 On March 16th, 2015, The Humboldt County Grand Jury submitted their findings and recommendations to the Humboldt County Sheriff’s Office regarding the Transportation of Indigent Detainees in accordance with Penal Code Section 686.5. By statute, the Sheriff’s office has 90 days to respond to the Grand Jury Report. The Sheriff’s Office is working with County Counsel to implement the law and create a policy within our Correctional facility to be in full compliance with 686.5. As the law states, an indigent person who was released without trail, or acquitted may request to be taken back to the place of arrest. There is no provision within the law that directs the Sheriff to inform the arrestee of this service. It is Sheriff Downey’s intent to implement a legally sound policy in order to protect the rights and safety of all citizens in Humboldt County. When the policy is implemented a press release will outline the provisions of the policy. Since January 2015 the Correctional Facility has been given the directive to provide, upon request, public transportation passes to indigent persons who were arrested in Garberville and Willow Creek areas.